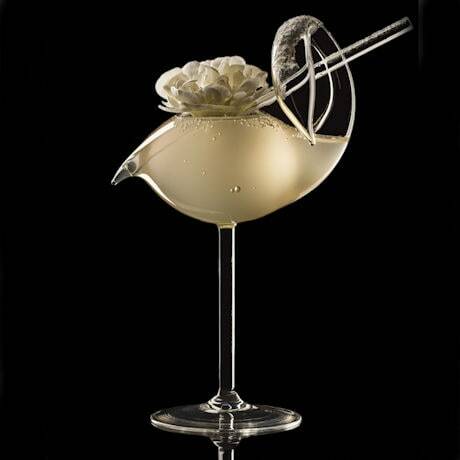 Expect oohs and aahs when you serve your signature drink in this. 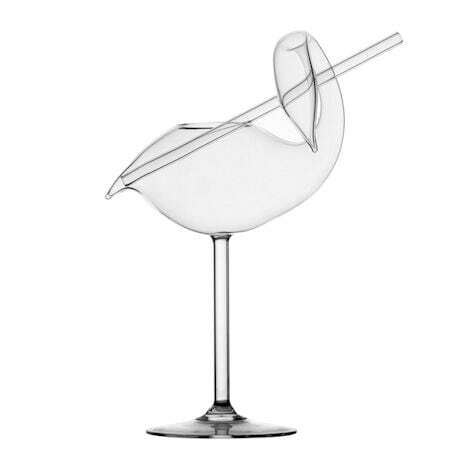 The tall, elegant swan-shaped stem is lightweight, strong borosilicate glass, the same scientists use in laboratories. A glass straw makes sipping easy. 8" high, 3 ½" wide. Holds about 3 oz. Made in the Czech Republic.